The field proven solution transmits real-time position indication to the control room and enables predictive maintenance for actuated valves, delivering capital and operating expenditure reduction, increased safety and increased productivity. Designed for new and existing plants in the process industries and utilities, RI Wireless products are certified as Zone 1 Intrinsically Safe for use in hazardous areas. By introducing comprehensive plant monitoring, the system enhances operational efficiencies and eliminates unnecessary shutdowns. Predictive maintenance is facilitated through the monitoring of valve opening and closing profiles and the detection of variations from reference profiles. 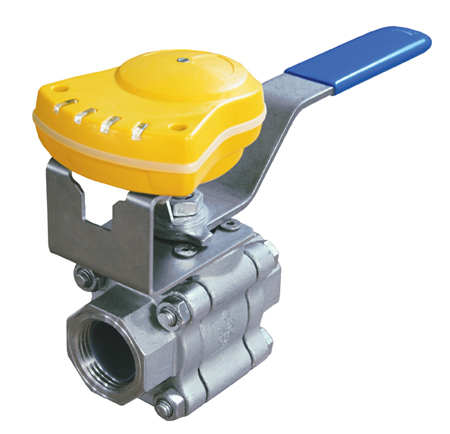 The system comprises of a small, battery powered Valve Monitoring Device (VMD) that is installed on existing or new valve actuators using a NAMUR interface, or on manual valves with an ISO 5211 interface. The VMD collects dynamics-of-state data from the actuator or valve and transmits it as a 64-point packet, providing the information required for preventative maintenance. A network of Valve Device Routers (VDR) transfer the monitoring data from the VMDs on a wireless MESH network to the Tunneling VDR (TVDR), which is the ‘last hop’ VDR that transfers the data to the RI Wireless Gateway, an industrial computer that manages the RI Wireless system. Several TVDRs can be connected to the RI Wireless Gateway via Transmission Control Protocol (TCP) or Internet Protocol (IP) networks. The final element in the structure is the RI Wireless Management System (WMS), a software management tool that provides operational and maintenance data in common industrial standard connections to an HMI, DCS or PLC. The system is programmed and commissioned using a hand-held Operator Device (OD) instrument that provides one-to-one wireless communication with the VMDs. In addition to supporting installation and configuration, the primary functions of the OD are turning devices on and off and receiving real-time feedback regarding the status of individual VMDs.